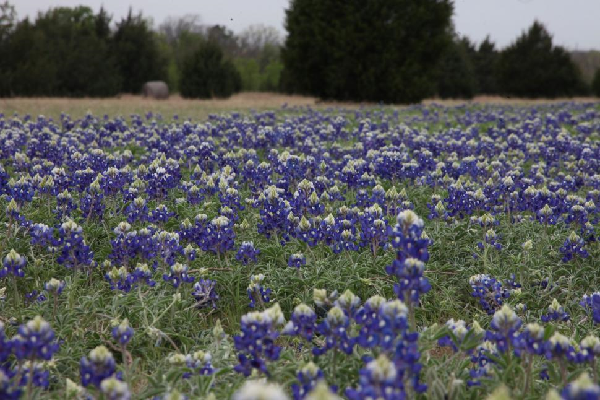 May has arrived in Texas, and as rain gives way to sun and summer is only a breath away, it’s the perfect time to spend outdoors. Fortunately, this is also a time of year when celebrations of friends and family take the forefront as we honor the mothers in our lives as well as the many brave members of the military who have given their lives for our country. 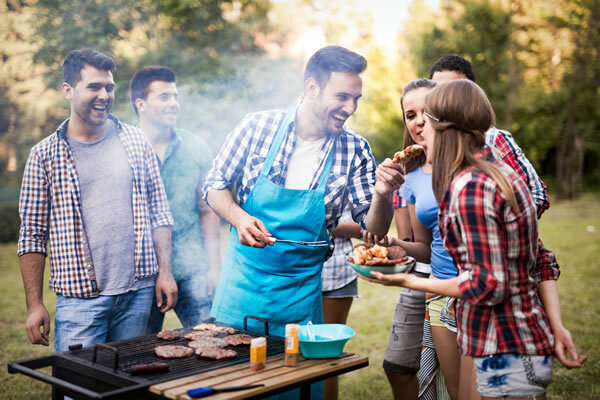 And whether you are gardening, hosting a BBQ, or just taking the time to relax and play with those you love, your yard is sure to hold a prominent place in your May celebrations. 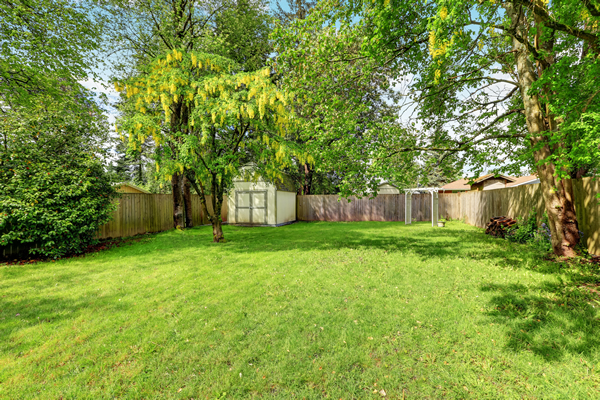 While a day spent in the backyard with family and friends sounds like a treat, it can quickly turn into headache if yard pests have decided to make your yard their destination this spring. 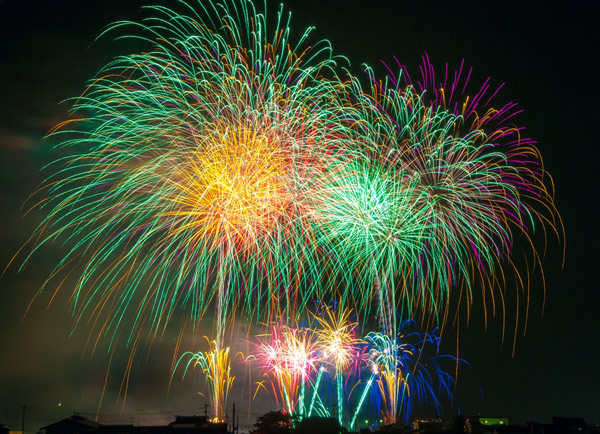 Imagine trying to play soccer while dodging mole runs, or sitting around your patio at night relaxing with friends only to be harangued by June bugs; with a host of pests making their homes in soil, grass, bushes, and trees, it wouldn’t take much to ruin a beautiful celebration. 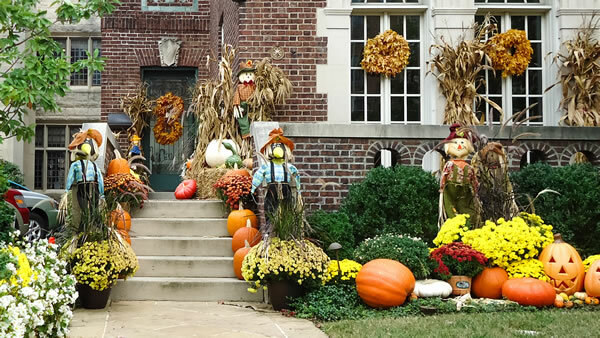 But with some preventative measures and an eye kept out for warning signs, you can have your yard ready for the many festivities in store. 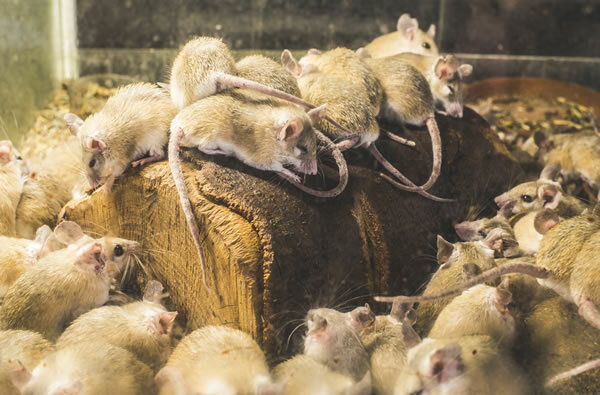 Starting from the ground up, we’ll cover some of the main yard pests and tell you what to look for, what to expect for treatment, and how to prevent or minimize their impact on you and your home. First up are Moles. Moles are small mammals, generally around 7 inches long with velvety fur, small ears and eyes, a short tail, and large forelimbs and paws. They are excellent diggers, able to excavate tunnels, called runs, at a rate of 20 feet per hour. These tunnels are used for transportation between their burrows and the surface of the lawn where they find the various insects they feed upon, and can range in depth from surface-level to 10 inches underground. 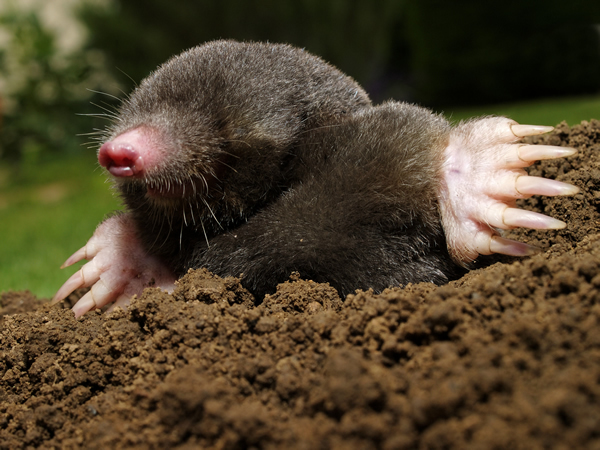 Generally, you will only notice mole activity in your yard when they are using it as a feeding ground, as the deeper runs don’t protrude the surface of the lawn. Though they are active throughout the year, spring is a time of particular activity for moles, as it brings with it an abundance of insects for the the moles to feast upon, and it is also the time when moles go out in search of a mate (this is the one time of year when you will see multiple moles coming together, as generally they are solitary creatures). 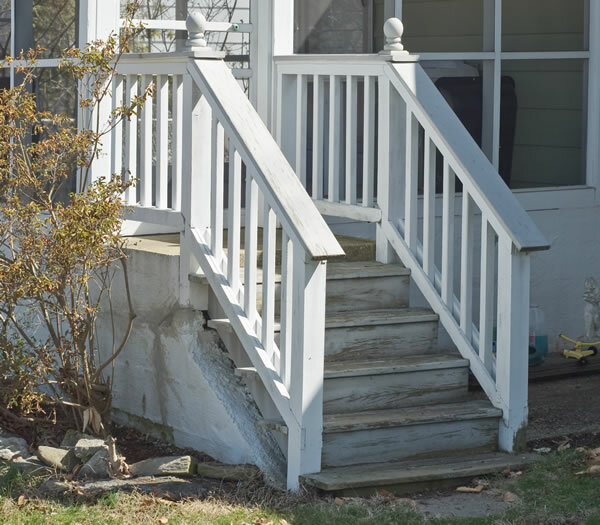 With increased activity, not only do you have to contend with greater damage to your lawn, you also have to be concerned about the escalated risk of damage to sidewalks and even your home’s foundation. Though a mole can’t directly harm the foundation or sidewalk, their runs can accumulate water, and as temperatures change, if those runs are too close to your home, that water can cause cracks to form. 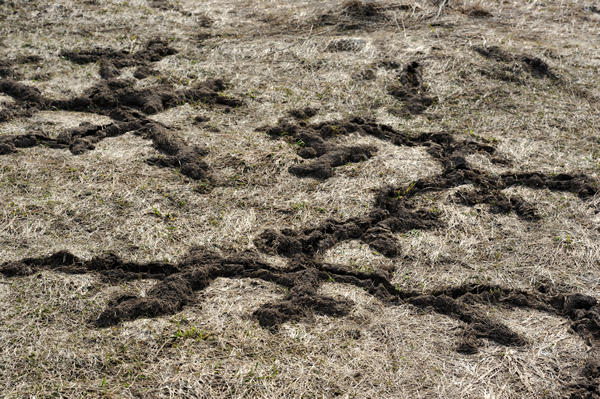 There are two main methods for mole treatments: trapping and baiting. 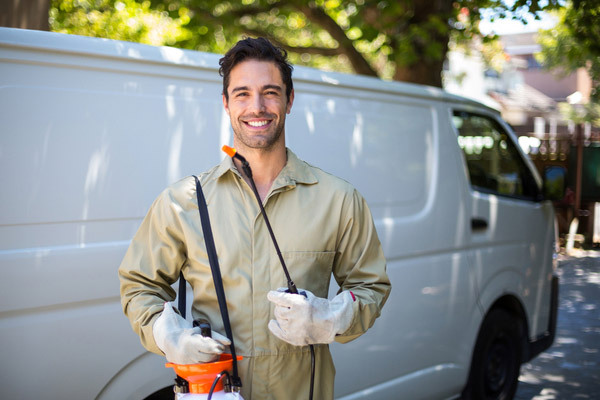 A pest control technician will evaluate situations on a case-by-case basis to determine which is the best method to use, keeping in mind the safety of pets and people who will spending time in the yard. Either way, mole treatments will take several weeks to complete, so the sooner you call, the sooner you can get your lawn back. When it comes to preventing moles from invading your lawn the first recourse is to remove the moles’ food sources, this means keeping your yard free from grubs, ants, and other lawn insects. 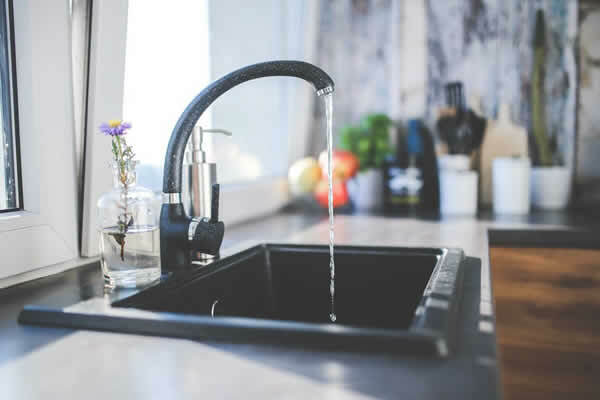 To do this, be sure not to over-water your yard; keeping it on the dry, compact side will not only limit insect activity, but it will also make it less inviting for moles. There are other more extreme measures that can be taken, such as the use of gravel and metal barriers and fences, but these are rarely needed, especially in the metroplex. 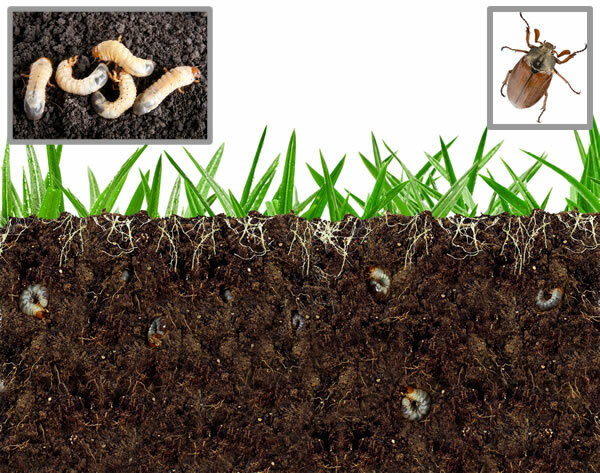 Grubs are the larvae of insects, specifically beetles; the most common types to be seen in your yard are white grubs, also known as grub worms, which are the larvae of June bugs. Grub worms are plump, around 1/2” to 1” in length, are generally seen in a “c” shape, and, as the name suggests, are whitish in color. 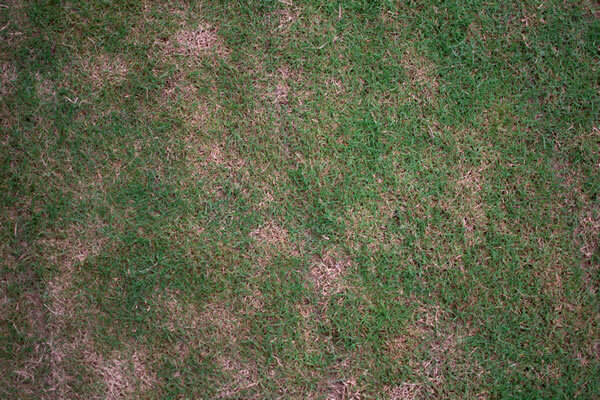 These pests can quickly destroy the root systems of turfgrass, eliminating its ability to uptake enough water and leading it to dry out and eventually die. In this phase of their life cycle, which occurs from mid-summer to late fall, they are the most damaging to lawns; come winter, they enter a dormant stage before transitioning into adult June bugs during spring and emerging from the soil to mate in late spring and summer. June bugs themselves will cause some damage to plants in your yard, though the damage is not as severe as that of their larval form. Mostly June bugs are notable for being a nuisance. They are large nocturnal insects, clumsy fliers, and like to congregate at light sources at night, which means they are likely to disrupt any outdoor evening plans. And come morning, you will tend to find them dead on porches, clinging to window screens, and by any other nighttime lights. 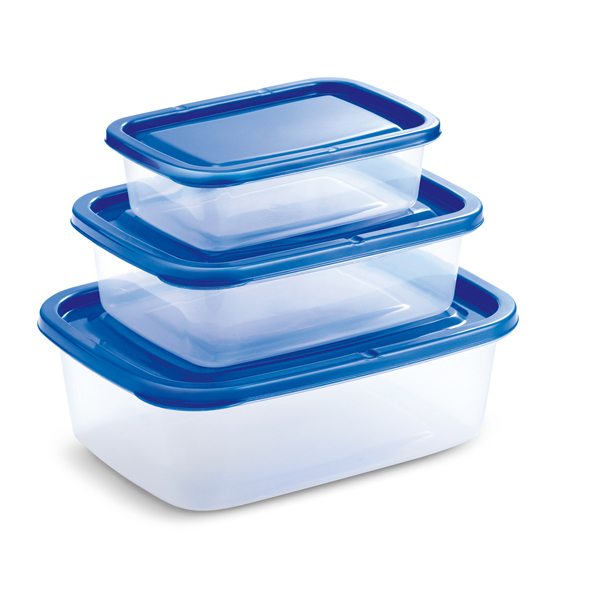 The larvae themselves, which would reside approximately 2” to 5” below the soil; if there are 10 or more grubs in a 1 square foot section, that is a sign of a significant infestation. The best way to treat for both June bugs and grub worms is to have a pest control professional treat your yard when the bugs are in their early stages of development, before they become adults and start flying around. In order to prevent an excess of June bugs from invading your yard the best thing to do is limit the grub worm population lurking under your grass. Unfortunately, there is no precise way to prevent grubs from being in your yard, but you can help limit their numbers through good lawn care practices such as maintaining proper irrigation and regular upkeep; it can also be helpful to allow the soil to be somewhat dry as grubs prefer moist areas. Additionally, by treating for grub worms as soon as you notice an issue, there will be fewer adult June bugs in your yard the following summer, which will lead to fewer grubs infesting your lawn the next year. Webworms are the larval stage of the fall webworm moth. They mostly inhabit shade trees and shrubs, making their distinctive white web-like nests over the ends of the branches, and feeding on the leaves. The nests can surround several feet of the infested branch, with a dense population of larvae, as they will feed together until their final molt. Given a large enough population of these larvae, they can easily defoliate a tree, which is not only unsightly, but can cause damage to the tree. 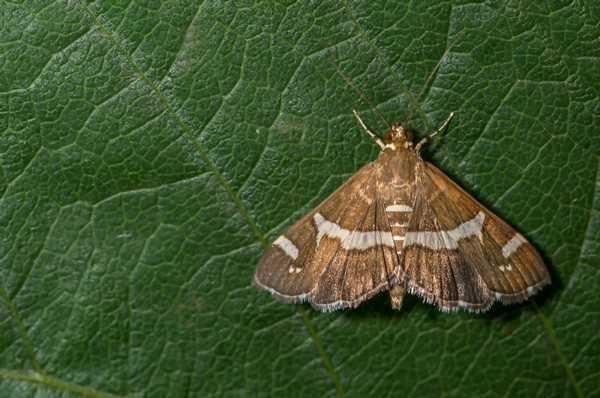 Keep an eye out for the fall webworm moth near trees in your yard; the moth is generally white, though it may have some dark-colored markings, has a slightly furry appearance, and has a wingspan of just under 1.25 inches. They usually start to appear in June, and will deposit their eggs on the underside of leaves. 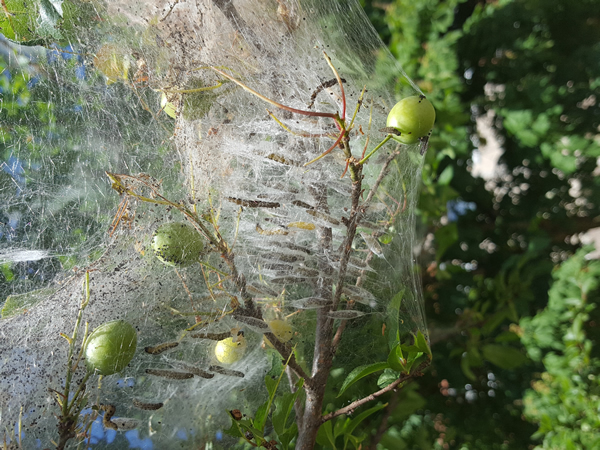 Once those eggs hatch into larvae, about a week later, they will begin to spin their silken web over the leaves they are feeding upon, gradually extending it over the summer. This means you also need to keep an eye out for the sizable whitish webs they suspend in tree branches and shrubs. 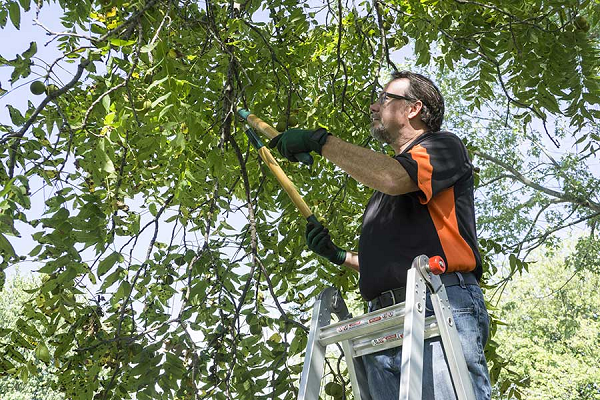 The best way to combat a webworm infestation is to have a pest control professional treat the infected tree or shrub as soon as you notice an issue arising. There are two main methods to prevent a webworm infestation from taking over your yard. 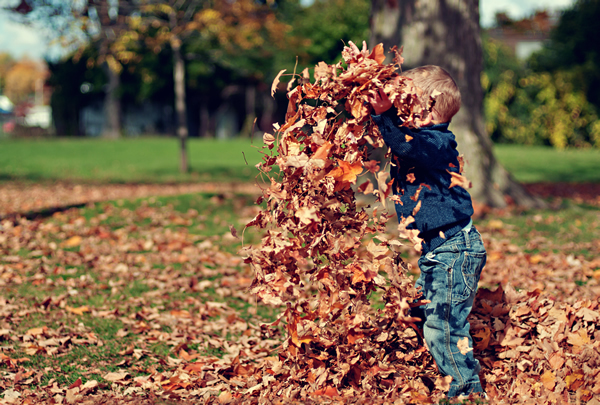 First, be sure to keep your yard free from leaf litter, especially around trees and shrubs, as the webworms will pupate in these areas before becoming adults and creating new webworm populations. Second, in the late fall or early spring, have your pest control technician perform a Dormant Oil treatment to any trees you are concerned will have a webworm problem in the upcoming year. Dormant Oil treatments are very effective at controlling this issue, but they need to be done while the tree is dormant (no leaves or buds) and the temperatures are just right (in the 50-70 degree range). 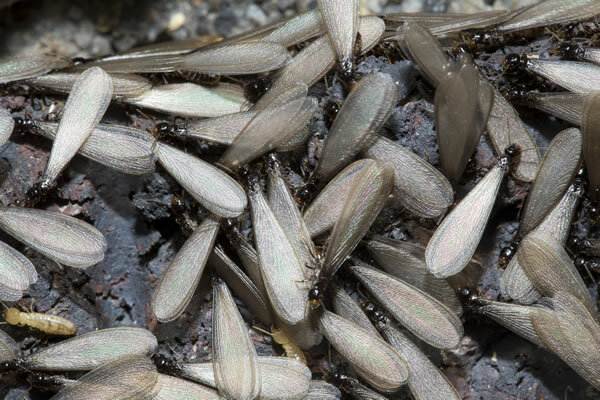 There are a whole host of pests looking to make your yard their home and feeding ground this summer, and though we have touched on three of the most common, there are easily dozens more to keep an eye out for, so pay close attention to your lawn, trees, bushes, and shrubs, and don’t hesitate to call for a pest control technician if you notice any signs of pests invading, such as: webs, large insect populations, leaves marred with holes, unusual growth-like scales or tubes, etc. 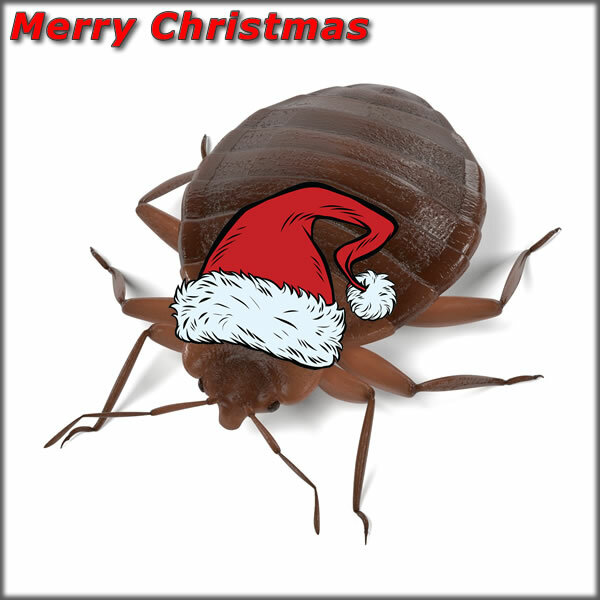 This year, as holidays and summer approaches, let your pest control technician help your yard become a hub of activity for family, friends and fun, instead of a breeding ground and all-you-can-eat buffet for pests of all shapes and sizes. It’s a warm Spring day, one of the first of the season; the air hangs heavy with anticipation of a storm. 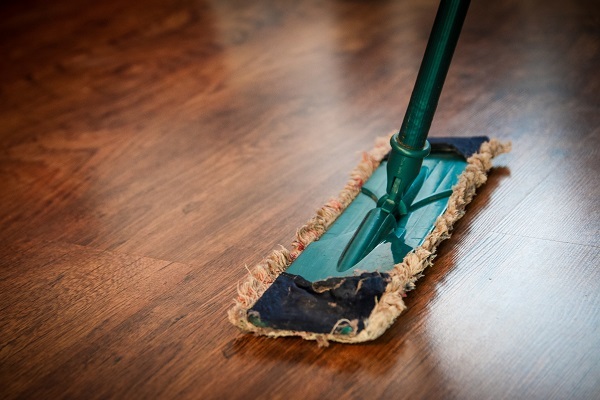 You’re taking a break from the yard work and Spring cleaning that inevitably call when temperatures first start to rise. Sitting on the couch with your loved one, you put on a show and settle in for a well-deserved rest. Not more than a few minutes pass before you feel something alight on your head; assuming it’s just an errant hair or a possibly a mosquito that followed you in, you brush it away without a thought. A moment passes before you feel another brush against your skin and you scratch at your neck, beginning to wonder if you should close the windows and doors and just turn the A/C on. But the couch feels too good to move and the company too good to leave, so you focus your attention on the show and vow to ignore any whispers of a touch against your skin. That’s when it happens. A swarm of black flying bugs descends upon you and your loved one. In a matter of seconds dozens of the critters have landed in your hair, on your shirt, on your legs. You jump to your feet, suddenly finding yourself in a scene worthy of a Hitchcock film. As you both frantically brush the bugs from you and dart away from the center of the cloud, you search for its origin. The culprit is a wood beam along the ceiling that the bugs are still pouring out from. 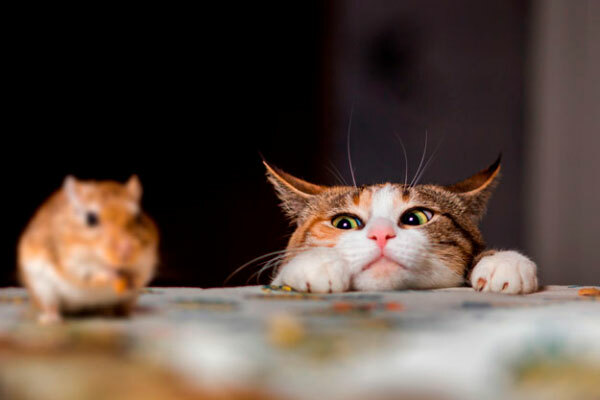 Keeping your distance from the beam and from the window that they seem keenly drawn to, you take a closer look at one of the pests that has found itself on the edge of the pack. What you find when you search for a bug with long white wings and black body makes your heart sink: termites. 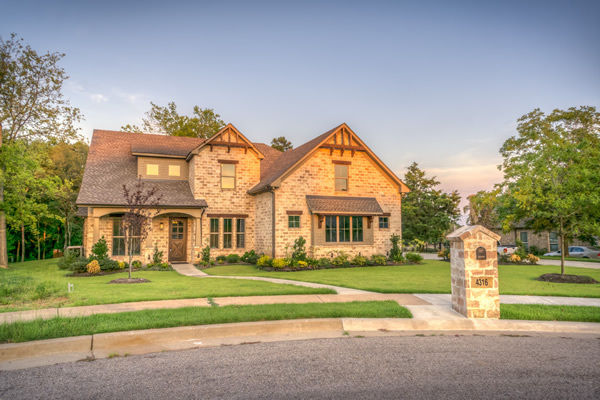 Although there are around 2,000 termite species in the world and 55 in the United States (according to the Texas Department of Agriculture), the most concerning, and the most commonly seen in Texas, are subterranean termites. As their name suggests, these termites create colonies beneath the soil surface and from there extend their feeding sites above ground. Within a colony there are three main types of subterranean termites you are likely to encounter: the swarmer, the soldier, and the worker. The swarmers are reproductive termites that are sent out to create a new termite colony. You will generally see them take flight on a warm, humid Spring day. They are approximately 3/8” long (including their clear/white wings, which extend well past their body), are dark brown or black, and have a fairly uniform body width. It is most common to see these termites around your home or in your home, especially near windows and indoor lights. The soldiers defend the colony from attackers, especially ants. They are most recognizable by their large rectangular head and pincers, and generally have a light-colored body with an orange or brown head. 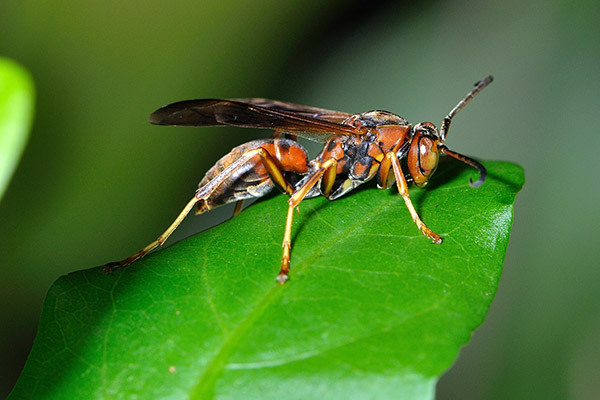 They are most likely to be seen if a colony is disturbed (for example, during a home remodel) as they will guard the affected area while workers attempt to repair their colony. The workers are the most prolific and are the ones that actually cause the damage to your home; they gather food, make tunnels, and groom/feed the soldiers, king, queen, and nymphs. They are approximately 1/8” long, are translucent cream-colored, and are soft-bodied. Since they spend their entire life in the colony you are unlikely to see these termites unless you have opened a previously enclosed area (such as a wall) for construction. 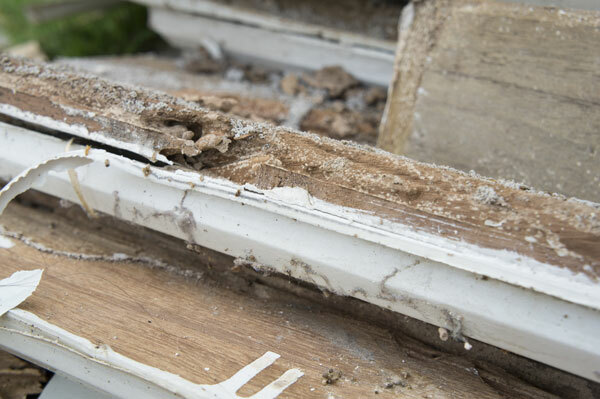 There are three main signs of a termite infestation: swarmers, mud tubes, and damaged wood. 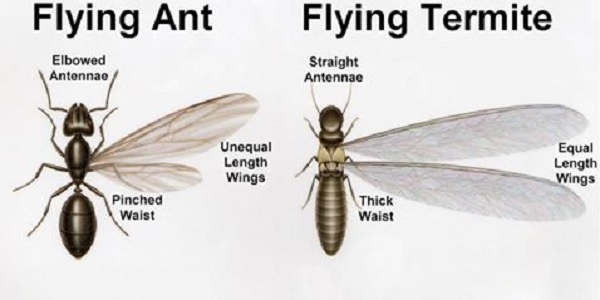 Swarmers are the most readily recognizable and are the clearest indication to the average homeowner that there is a termite colony infesting their home (see “Termite Types” above for more on swarmers). The amount of termites in a swarm is proportional to the size of the nest, and a well-established nest can emit thousands of swarmers. Mud tubes are essentially protected pipelines the termites use for travel; they are firm and are constructed primarily of mud. Oftentimes, they are difficult to spot as they can range in color and size and can blend with the soil, concrete and brick they are often built on. Look for mud tubes primarily on walls, piers, foundations, expansion joints, and near plumbing fixtures. 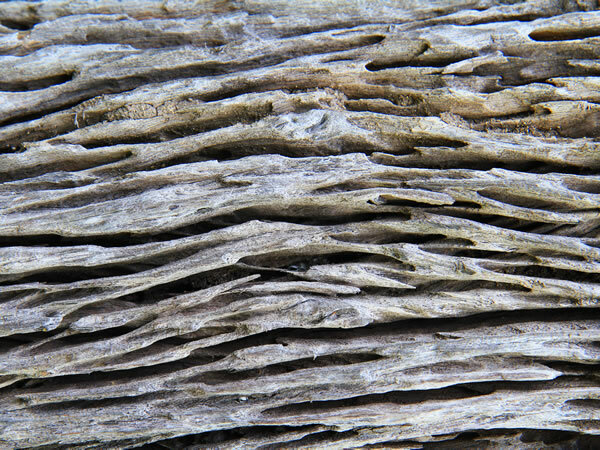 Wood damage can also be a sign of a termite colony, especially if the damage is in a honeycomb fashion, with many hollow sections following the wood grain. 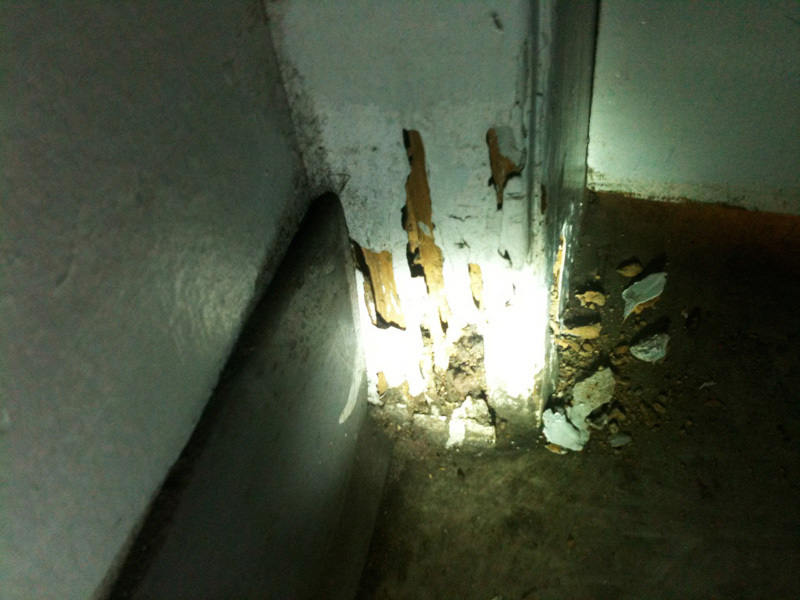 However, wood damage can be the result of many factors, making this a less reliable warning sign for termite activity. 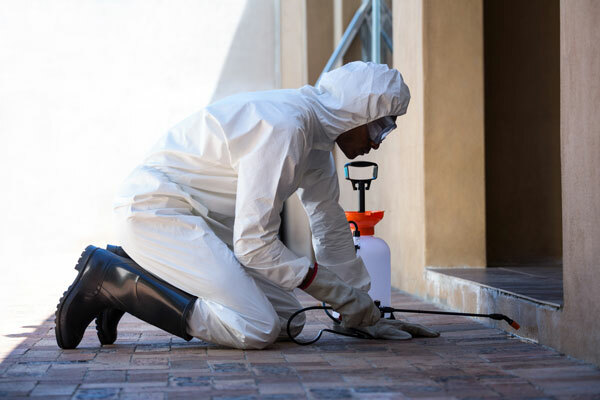 A termite infestation is something you want to take very seriously; since termites consume the cellulose in wood for food, the larger the colony, the more damage they will need to do to your home to sustain themselves. but there is no need to panic at the first sight of a swarmer or mud tube. 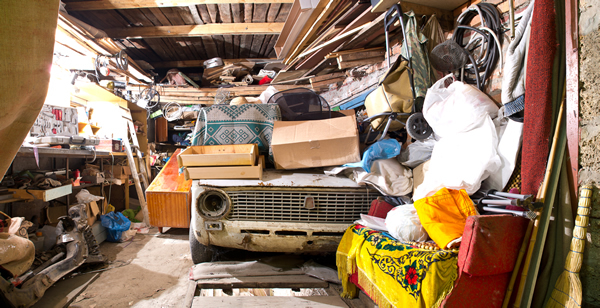 The good news is that it takes some time for a colony to do extensive damage to a home, and if you catch the issue in its early stages you are unlikely to be faced with costly home repairs. 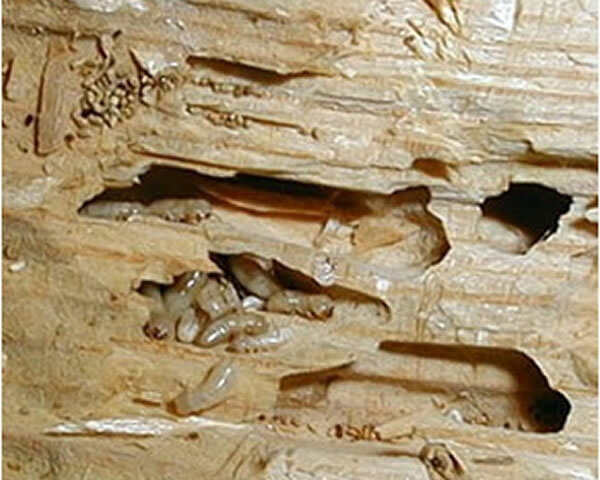 The bad news is that a termite colony can contain up to 1,000,000 termites, with workers living for around 2 years constantly doing their tasks to expand the colony, and queen termites living for more than 25 years producing more than 2000 eggs a day (at her peak); that’s a lot of damage potential if a colony isn’t caught and treated early on. 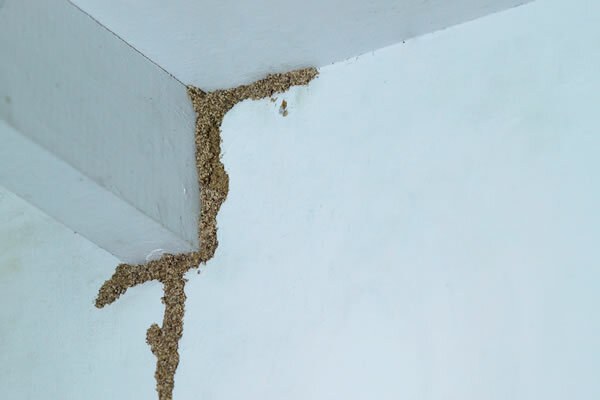 At the first sight of a potential termite colony, call a pest control professional and set an appointment to have the issue assessed. 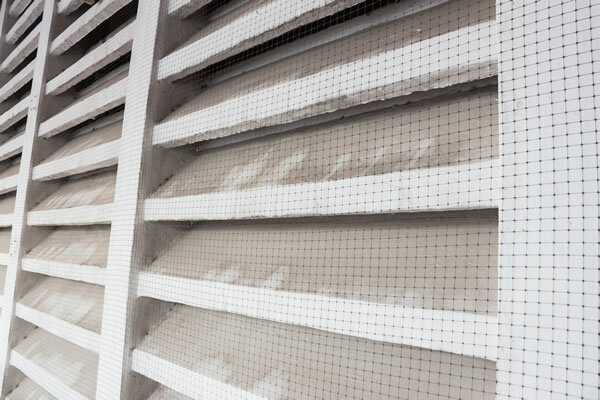 If you have active swarmers in your home, adjust your A/C to a cold, but still comfortable, temperature; this won’t kill the termites, but it will encourage swarmers to stay in the colony instead of flying around your living room. 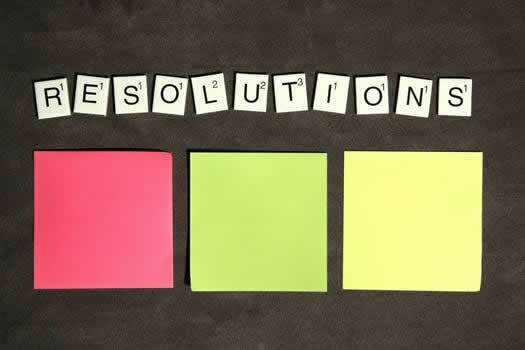 Collect a sample of any bugs you are seeing. Do not attempt to self-treat the termites or destroy any visible colony. 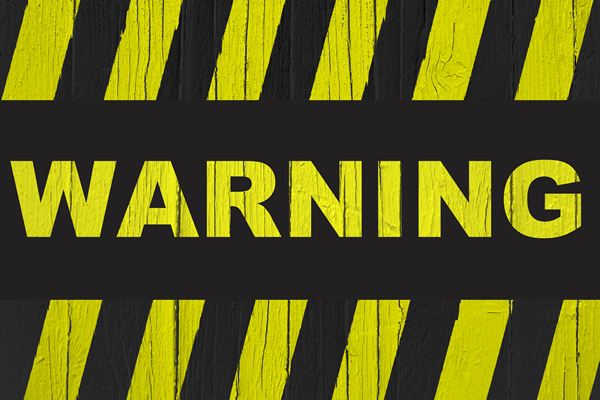 Disturbing a termite colony will often cause them to move to a new, more secluded location, within your home, leaving them to do further damage until the colony grows to such a size its warning signs are again visible. If there is termite activity found, get it treated as soon as you can to prevent further damage to your home. 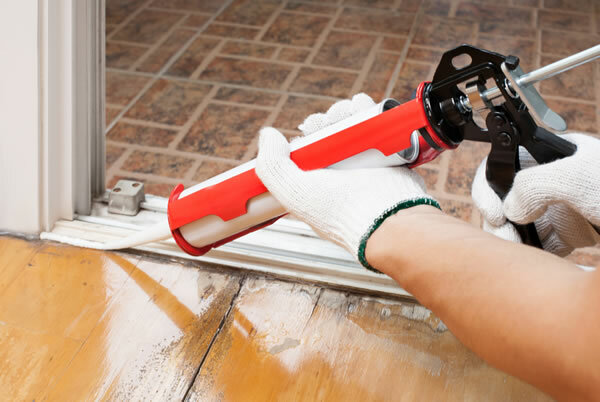 Though it’s impossible to fully prevent termites from invading your home, there are a few ways to reduce conducive conditions in and around your house.